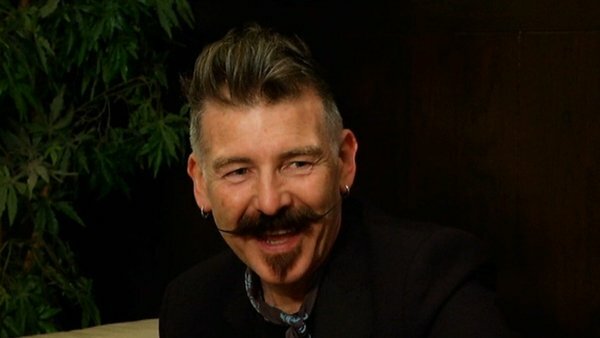 Jerry Fish: "Now that Martin is gone the music has become a little more important and special." 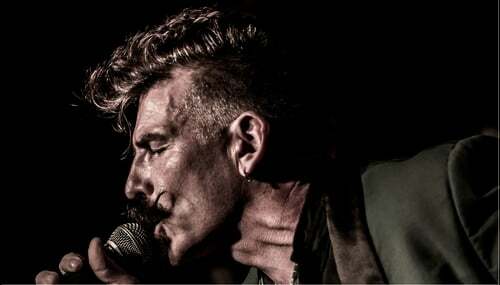 To prove that true friends never part, singer and performer Jerry Fish has released a new version of one of his oldest songs to pay homage to his late friend and bandmate Martin Murphy, who he performed with in nineties band An Emotional Fish. Martin, who played drums in the Dublin band, passed away last January and now Jerry, who currently performs as The Jerry Fish Electric Sideshow, has released a new interpretation of Blue, a song from An Emotional Fish’s debut album, which went on to be the band’s biggest hit after their most famous track Celebrate. It’s been re-imagined as an elegy and tribute to Martin with strings by pianist Cian Boylan and harmonies from former Fight Like Apes singer MayKay. It also comes with an atmospheric video directed by Crooked Gentlemen, featuring a performance by Electric Sideshow regular Foxy P Cox of Beauté de cirque. Speaking to RTÉ Entertainment, Jerry said: "Martin was a big softie, a bit of an angel really. He never had a bad word to say about anyone. "He really was a gent and within the band, he was the guy who would often dissipate the friction and the guy who when we were arguing over a mix, he’d pick the right one. Now that he’s gone the music has become a little more important and special." Jerry decided to rework and release Blue after he sang the song with Jill Turner, who also appeared on the original, at Martin’s funeral. "After I sang it I thought how can that just disappear like that? It’s 27 years since the song came out, which is a ridiculous amount of time. For a young person, it’s a lifetime. Lyrically the song still works today. It stuck out for me lyrically because I think it’s still relevant today." Revisiting one of An Emotional Fish’s oldest songs gave him pause for thought about his time with the band. The Dublin fourpiece - which also featured Dave Frew on guitar and Enda Wyatt on bass - were signed to a major label in 1990 and, like many Irish acts in the post-U2 gold rush, were overly-hyped. "Some people always say wasn’t it a pity that you weren’t bigger and I think maybe that’s a very Irish thing - `Ya nearly made it!' Well, we had a f***ing amazing time!" he says. "Very few bands get to do what we did, tour the world. Look at the video for Lace Virginia . . . I was one of the first guys to give Kate Moss a gig! Hahahaha. "We had a lot of fun. We loved what we did and we were very lucky really and I call that success. We were signed by Ahmet Ertegun. Things did fall asunder at the end but it does with most bands. "We were the first band to be sponsored by BBC Radio 1, which the NME didn’t like but now the NME and BBC Radio 1 run gigs together so we were just ahead of the curve, haha. Where I grew up, I never thought I’d even get a visa for America let alone see every state in it!" Jerry is currently working on a project much closer to home. "I grew up in London but all my family are from around the mouth of the River Liffey and I’m actually booked into the Fringe Theatre Festival later this year to do my life story. It's called Misery Hill because I reckon I’m descended from pirates who were all hung on Misery Hill way back." Mr Fish and co will also be taking up their now annual residency at the The Jerry Fish Electric Sideshow at Electric Picnic in Co Laois this September. "I’ll be there with my bendy rule book making as much of a mess of things as I can. "I’ve got some great circus cabaret fringe artists coming over as well as well as the usual madness of a crazy rock `n’ roll band. What I try and create there is a festival within a festival. It’s a family affair."